The Spain hunting season is a bliss. There is always something to hunt even in the middle of July in Spain. 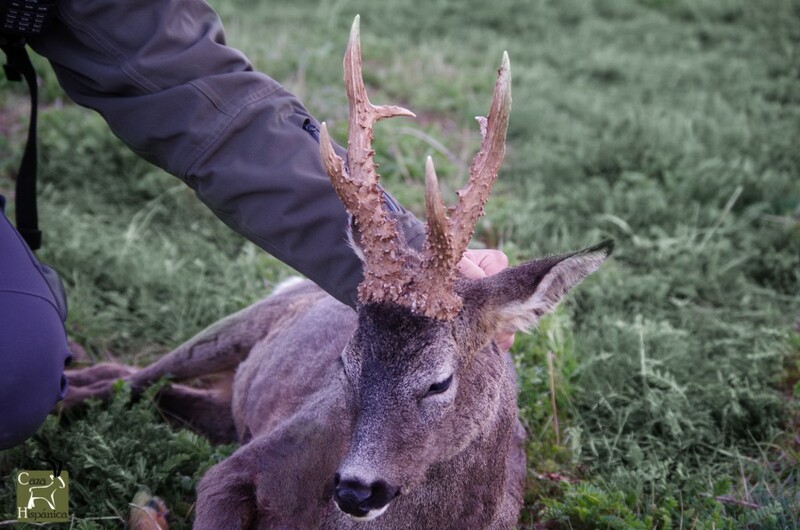 Because this is an interesting aspect when considering hunting in Spain, we have put together an article that gives details and options on what can be hunted in Spain each month. The Beceite Ibex can be hunted since the end of October until the end of May, with prime months between December and the end of April, mainly due to temperatures. The Gredos Ibex is the type of Ibex with the longest hunting season of them all. The Spanish Gredos Ibex can be hunted since December until June, reason for which it can be easily combined with tourism and sailing. The hunting season for the Ronda Ibex and the Southeastern Ibex begins a little later in the year and ends a bit sooner as well; both can be hunted between November and April. These animals can be hunted both in free range and high fenced hunting areas. The hunting season for free range areas is between September and February. For the high fenced areas it depends on the “Technical hunting plan” (management instrument applied to certain hunting grounds). Normally these plans are conceived for each private ranch and they allow more hunting days per year outside the official hunting season. The hunting season for the Pyrenean Chamois has a couple of gaps along the year, it begins in October until January, and then Since March until the end of June. Depending on the county and province, we will find some differences regarding the hunting season. Therefore, for a Pyrenean Chamois hunt we will be hunting in one area or another depending on the exact month of the hunt. The hunting season for the Cantabrian Chamois is one of the longest in Spain. Depending on the county and province, we will find some differences regarding the hunting season. The Cantabrian Chamois, hence, can be hunted in Spain since April until the end of November and then in January and February. Therefore, for a Cantabrian Chamois hunt we will be hunting in one area or another depending on the exact month of the hunt. The hunt of the Spanish wolf is very exclusive in Spain as there are only a few permits allowed per year. The hunting season for the wolf in Spain is between November and the end of February. The Balearean goat can be hunted all year yound in the Mallorca island, reason for which it can be combined with all the other species in Spain. Hunting the wild boar in Spain, in high fenced areas, is normally allowed all year round, and in free range areas it is normally hunted while hunting any other species as it´s normally a matter of chance. Now you know that Spain offers a great deal of Spanish hunting species. Choose what most adapts to what looks like more fun to you and send us an email at info@cazahispanica.com with what you would like to hunt in Spain with Caza Hispanica.